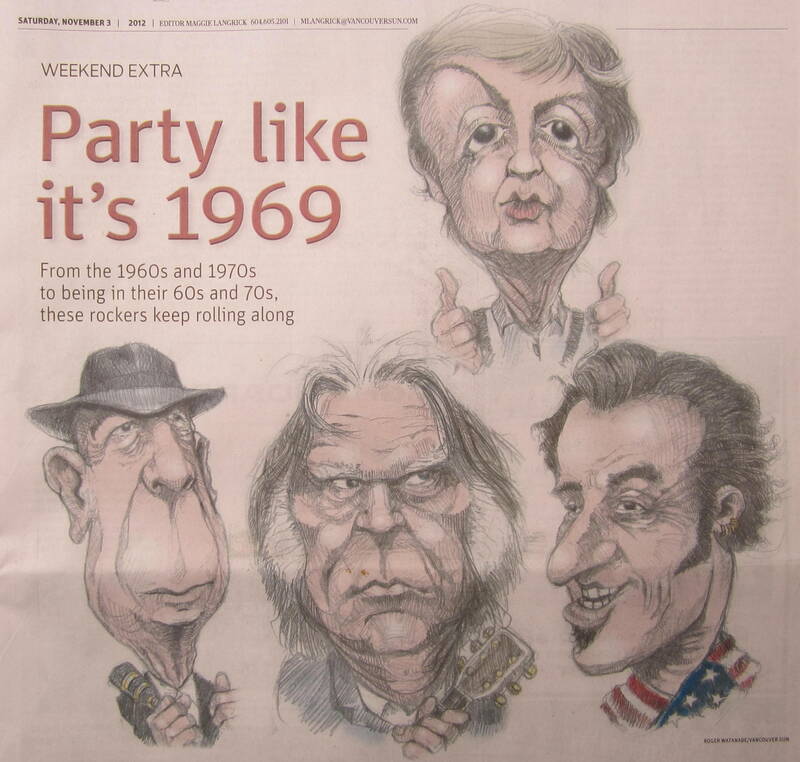 The featured caricatures by Roger Watanabe -Vancouver Sun newspaper – totally caught our attention in our recent visit to Vancouver, Canada. What a clever and talented artist to capture the deeper emotional states of each man! What emotions do you observe in each face? It is election day here in the US and as US citizens vote for people / issues on national, state and local levels, I celebrate the fact that diverse points of view can be openly debated. Many of you who live outside the US may not be aware that there are actually eight candidates representing eight different political parties on this ballot for the office of US President. I live in hope that voters make their choices based on informed knowledge and not because of any negative publicity campaigning by any special interest group or political party. Politics aside, the BBC has been featuring some very interesting articles on Bell’s Palsy, a facial paralysis that reportedly will affect one in 60 people during their lifetime. Please take time to visit http://www.bbc.co.uk/news/magazine-20123449. Following John Sudworth’s report on ‘Facing the TV cameras with half a smile’ you may wish to take a look at the online BBC magazine featuring additional personal stories of those ‘living with half a smile’ at http://www.bbc.co.uk/news/magazine-20206297. I invite you to share your stories with me – and let me know whether or not I have your permission to share them with a wider audience. 1. Overview of upper left quadrant of the face map – Observations in this quadrant of the ‘face map’ give us a sense of how the individual self as a person, their evaluation of self. This section of the face is often referred to as ‘the seat of the soul’. 2. What to look for in this section of the face – The predominant physical cues to look for are the same as mentioned last month. Additionally, in this section we observe deep seated emotions of how they feel about ‘self’ and their view of their life patterns. 3. Glenna’s reading of the October 2012 Face of the Month – So, is Sean Connery your favourite of all the James Bond actors? I can only imagine how much fun it must be to make those action films! I liked viewing these two photos of Sean Connery side-by-side as it is then possible to see how the inner emotions get etched more into the face with the passing years. Determination, analytical, feels emotions more strongly than he expresses them, long-standing grief, tries to block intuition, very different public/private sides to him. For those studying personalities did you come up with the combination of Bootstrap, ORD, PANG, AYM? Glenna replies – According to the Mayo Clinic website, Bell’s Palsy (also known as ‘facial palsy’) is sudden weakness in facial muscles that results in the sudden drooping in half the face. The results are that the smile appears lop-sided and the eye on the affected side resists closing. This syndrome, believed to be the result of the swelling and inflammation of the nerve that controls muscles on one side of the face, can appear at any age. For most people, symptoms are temporary and usually begin improving within a few weeks, with complete recovery by six months. Sadly, though, some people continue to be permanently affected by Bell’s Palsy symptoms. 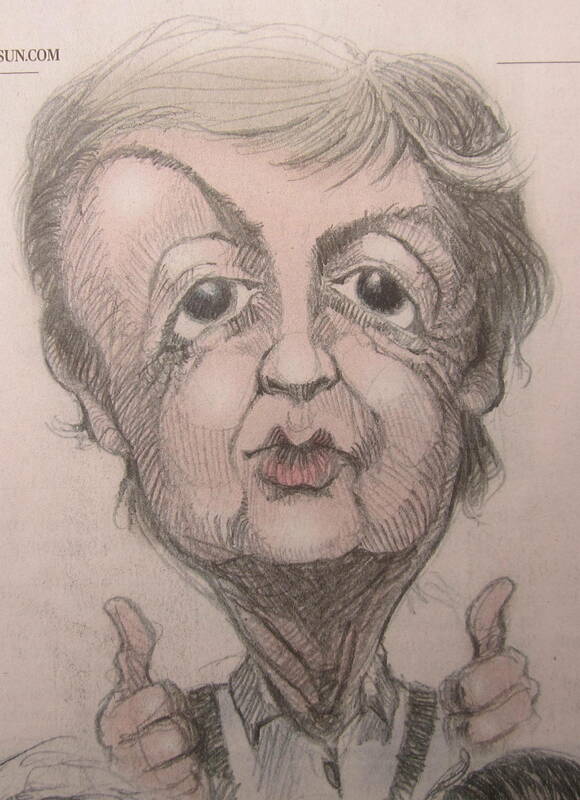 I loved Roger Watanabe’s insightful caricature of Paul McCartney. It provides wonderful material for ‘Face Readers’. I look forward to reviewing it next month and receiving your observations at any time.